In the development of our software solutions, we implement various technologies of the most advanced standards to satisfy immediate requirements of the customer. 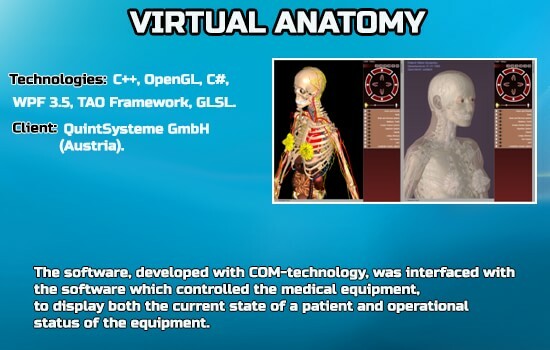 With Simmakers, you get a competent solution created by highly qualified specialists in applied mathematics and physics, software engineering and computer graphics. Partnership with NVIDIA. Being partners with NVIDIA , the world’s largest producer of graphics cards and GPUs, we apply the corporation’s latest achievements in the development of IT-solutions in computer graphics, data visualization and parallelization of computations. Extensive experience. Cooperating with customers from North America, Western Europe, Russia for more than a decade, our specialists have completed more than 30 complex projects on data visualization and computer simulation of physical and technological processes for various industries, including construction engineering, oil and gas extraction, metallurgy, film industry, healthcare, arts, etc. Profound technological expertise. Simmakers specialists have won high recognition and international awards in various fields and are professionals in applied mathematics, IT and software development. We actively collaborate with the leading international research and development centers, such as the Massachusetts Institute of Technology (MIT), the University of California, Los Angeles (UCLA) and the Skolkovo Institute of Science and Technology. Custom-tailored service. In the development of IT solutions, we make the demands and needs of each customer our highest priority. This approach allows us to develop trusting and mutually beneficial relations with customers, which results in beneficial effect on the efficiency of project implementation. More questions? – Contact Us. If you are looking for a company with a strong background in both low-level and high-level programming, then you have come to the right place. With expertise in highly specialized technologies and specific programming languages, our IT engineers will ensure you successfully implement your simulation project objectives. Q: What is simulation software? A: Simulation software is based on the process of modeling a real phenomenon with a set of mathematical formulas. It is, essentially, a program that allows the user to observe an operation through simulation without actually performing that operation. Q: What are the applications of simulation software? A: Here are some examples. Electronics simulation software utilizes mathematical models to replicate the behaviour of an actual electronic device or circuit. General simulation packages fall into two categories: discrete event and continuous simulation. Discrete event simulations are used to model statistical events such as customers arriving in queues at a bank. Continuous simulators are used to model a wide variety of physical phenomena like ballistic trajectories, human respiration, electric motor response, radio frequency data communication, steam turbine power generation etc. Metal casting simulation is currently performed by Finite Element Method simulation software designed as a defect-prediction tool for the foundry engineer, in order to correct and/or improve his/her casting process, even before prototype trials are produced. 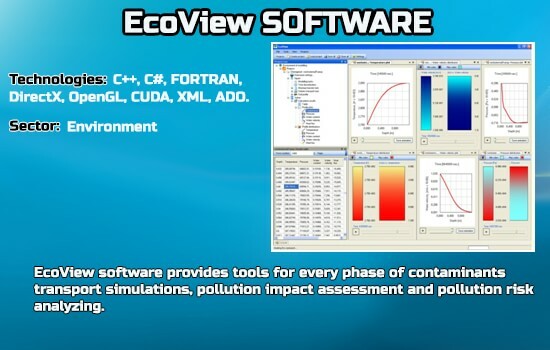 Network simulation software simulates behavior of networks on a protocol level. Network Protocol Simulation software can be used to develop test scenarios, understand the network behavior against certain protocol messages, compliance of new protocol stack implementation, Protocol Stack Testing. By using programmable logic controller (PLC) simulation, PLC programmers have the freedom to try all the «what-if» scenarios changing ladder logic instructions and programs, then re-running the simulation to see how changes affect the PLC’s operation and performance. Power system simulation models are a class of computer simulation programs that focus on the operation of electrical power systems. These programs typically make use of mathematical optimization techniques such linear programming, quadratic programming, and mixed integer programming. 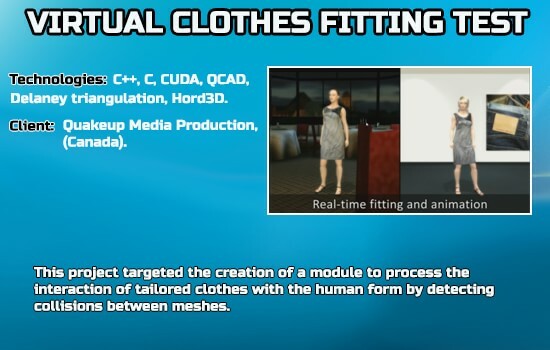 A: Modeling and simulation are important in research. Representing the real systems either via physical reproductions at smaller scale, or via mathematical models that allow representing the dynamics of the system via simulation, allows exploring system behavior in an articulated way which is often either not possible, or too risky in the real world. please call us at +375 17 286 33 16 or use the contact form.